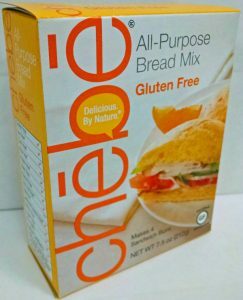 Using aquafaba as an egg replacer, gluten and grain free Chebe dough stretches and presses without breaking. 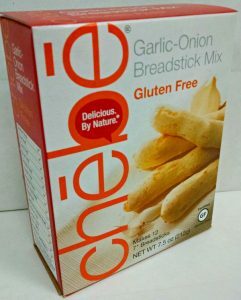 It’s very workable and is great for rolls, bread sticks, empanadas, tortillas, calzones, etc. Have fun with it thank a legume for making egg replacement easy! This dough stretches and presses without breaking; it is very workable. It is great for rolls, bread sticks, empanadas, tortillas, calzones, etc. Have fun with it thank a legume for making egg replacement easy! 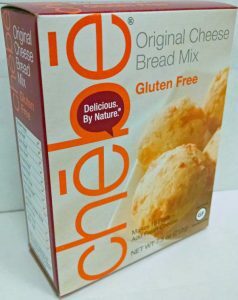 Empty package of Chebe into a bowl and blend in the aquafaba with a fork. Mix in the hummus, milk substitute and finally the oil. Continue blending with a fork, then change to blending with your hands until the dough is smooth. You will have about 13 or 14 oz of dough. You can make one 12” pizza or 2, 9” pizzas. 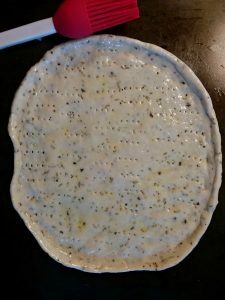 On a baking pan or a pizza pan, press the dough to the size you want, creating a ridge around the rim with your fingers. With the tines of a fork, dock the pizza (poke holes all over). Brush with olive oil. Put the dough in the oven for 10 minutes. Remove from the oven, add your toppings. 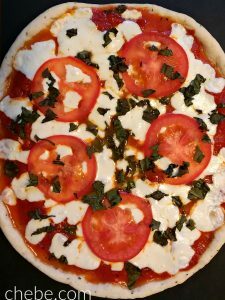 Return the pizza to the oven for another 10 minutes. 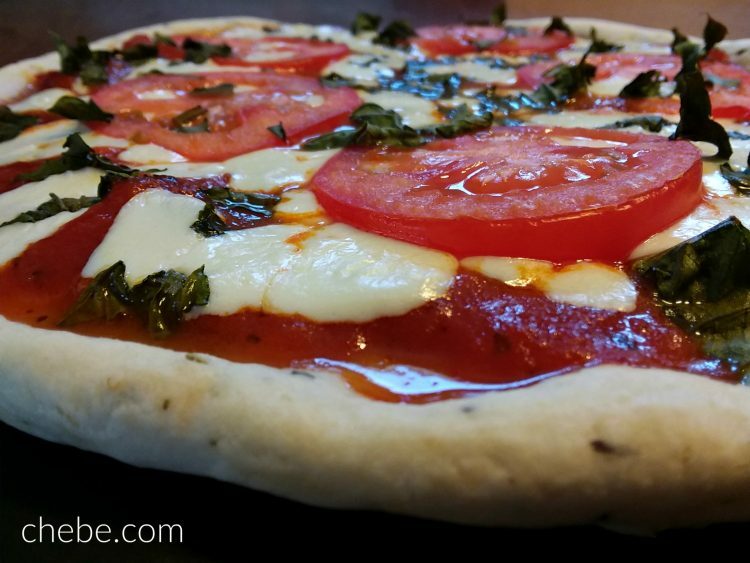 Remove, slice it up and enjoy this egg free version of Chebe Pizza! What is ‘aquafaba’? Aquafaba (bean water) is the liquid from cooked legumes (pinto beans, chickpeas, lentils, etc.). 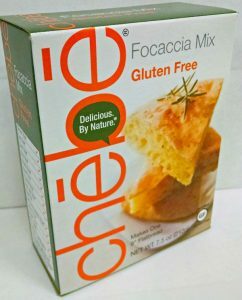 It works great as an egg substitute (3 Tbsp = 1 egg) for many applications. The liquid can be from cooking the raw legumes on your stove or that from a can of beans. With this recipe we used the liquid from a can of chickpeas (garbanzo beans). Its consistency works very well for the 3 Tbsp = 1 egg exchange.